Between multiple tests findIndex and find did the best, but find was faster more often then findIndex. I have a mobile application that needs to search through a rather large array and I’m experiencing some optimization issues with it. 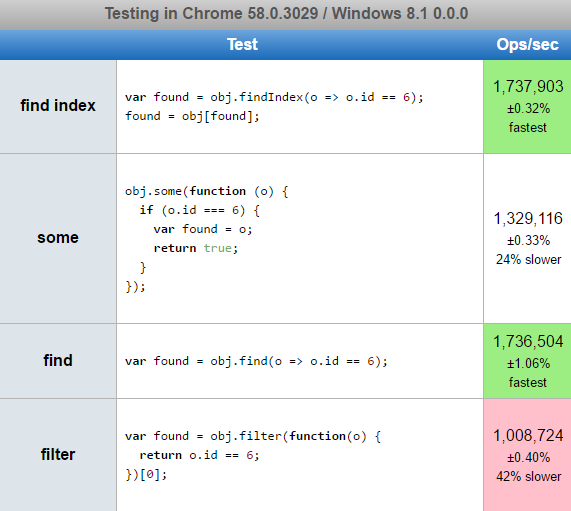 So, I decided to run some tests to see which function would be the fastest between indexOf, search, and includes.